Summary of passage: Paul commends Phoebe to the Christians in Rome and sends individual greetings to others in the Roman church. 3) Such recommendations were important because there was both great legitimate need for this kind of assistance and there were many deceivers who wanted to take advantage of the generosity of Christians. 4) This list includes prominent women in the church (Phoebe, Priscilla, Junias, Tryphaena, Tryphosa, Persis), common slave names (Amphiatus, Urbanus, Stachys, Apelles) and possibly royalty (the household of Aristobulus–probably the grandson of Herod the Great). All the social strata is included. This means Christ came for all! 5) Part personal Question. My answer: Some risked their lives for Paul. Some went to prison with him. Some have been a mother to him. All were hard workers for the Lord. For me, too many to list. Being there to listen to me. Support me in all I do. Encourage me. Opened doors of opportunity for me. Helped me when I needed it. God works through people all the time–even in the little things. 6) All really. They all were risking their lives by being among the first to convert to Christ. Risk-takers all of them with a heart for God. Exactly what I want to be. Conclusions: Wouldn’t it be cool to have been a name on this list in the Bible for all of posterity? And to have been mentioned by the great apostle Paul as having helped him? Pretty cool! Phoebe was probably the carrier of this letter to the Romans. Our sister is a fellow believer. Deacon is one who serves or ministers in any way. When church related, it probably refers to a specific office. Phoebe is the feminine form of a title given to the pagan god Apollo, the title meaning “the bright one.” Christians, on their conversion, seemed to feel no need to change their names even if there was some pagan significance to their name. Servant is the same word translated deacon in other places. Phoebe seems to be a female deacon in the church, either by formal recognition or through her general service. Paul gives Phoebe one of the best compliments anyone can give. This sort of practical help is essential in doing the business of the gospel. Priscilla and Aquila were close friends of Paul who worked in the same trade of tentmaking (Acts 18:2-3). They are now back in the city of Rome. Epaenetus was apparently among the very first converts of Achaia (where Corinth was and where Paul wrote the letter to the Romans). Epaenetus was also apparently dear to Paul; beloved isn’t a term Paul used cheaply. Andronicus and Junia: These were apparently Jews (my kinsmen) and were imprisoned for the sake of the gospel (my fellow prisoners). They were well regarded among the apostles, having become Christians even before Paul did (sometime in the first 3 or 4 years after Pentecost). Of note among the apostles has the idea that Andronicus and Junia are apostles themselves (though not of the twelve), and notable among other apostles. If there ever were women recognized as apostles – in the sense of being special emissaries of God, not in the sense of being of the twelve – this is the strongest Scriptural evidence. It isn’t very strong. Amplias: There is a tomb dating from the late first or early second century in the earliest Christian catacomb of Rome which bears the name AMPLIAS. Some suggest that this is the same person mentioned in Romans 16:8. Greet those who are of the household of Aristobulus: The fact that the household of Aristobulus is greeted but not Aristobulus himself made Spurgeon think that Aristobulus was not converted but many in his household were. It made Spurgeon think of the unconverted who live with believers in their house. Rufus may be the same man mentioned as a son of Simon the Cyrene in Mark 15:21. However, Rufus was a common name so this is merely speculation. Chosen in the Lord has the idea that Rufus had some eminence among the Christians of Rome. It doesn’t refer to his election in Jesus. Nereus: In 95 a.d. two distinguished Romans were condemned for being Christians. The husband was executed and the wife was banished. The name of their chief servant was Nereus – this may be the same Nereus mentioned here and he may be the one who brought the gospel to them. Asyncritus . . . Phlegon . . . Patrobas . . . Hermes: Of the rest of these names, Paul finds something wonderful to say about almost every one of them – noting their labor, his special regard for them (beloved), their standing in the Lord (approved in Christ . . . in the Lord . . . chosen in the Lord). This is a tremendous example. It shows Paul’s way of casting about uplifting words to build up God’s people. He was generous in paying compliments that were both sincere and wonderful. Luke 7:45 shows how common a greeting a kiss was. Jesus rebukes a Pharisee because he did not give Jesus a kiss when He came into his house. Those mentioned in verses 14-15 cannot be further identified except they were either slaves or freedmen in the Roman church. Notice the women mentioned in this chapter: Phoebe, Priscilla, Mary, Tryphena, Tryphosa, the mother of Rufus, and Julia. These are women who worked for the Lord. Of the 24 names here, 13 also appear in inscriptions or documents connected with the Emperor’s palace in Rome. We know that there were Christians among Caesar’s household (Philippians 4:22). Paul may be writing many of the servants who worked for Caesar who became Christians. Summary of passage: While on an unsuccessful fishing trip, the disciples saw Jesus again. He told them where to cast their net for fish. John recognizes Jesus and impulsive Peter swims to him. They all have a fish bake for breakfast on the shore, celebrating the 3rd time Jesus appeared to them. 3) John recognizes Jesus. Peter is impulsive and enthusiastic. Peter perhaps doesn’t want John to beat him again to Jesus like at the tomb so he throws himself overboard. Or perhaps he thought he’d walk on water. Peter is competitive. Jesus’ power is unlimited and he uses it for specific purposes–here to encourage and fellowship. 4) Part personal Question. 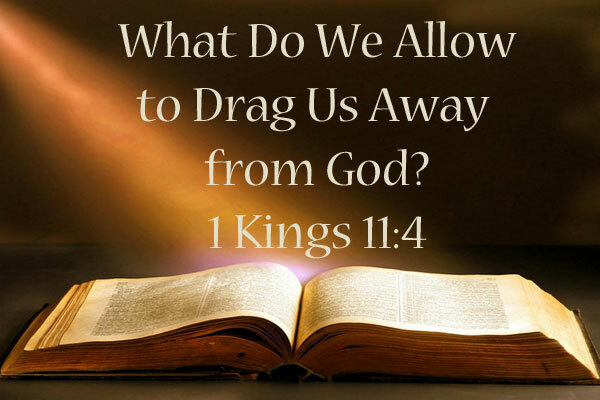 My answer: Jesus shows up when the disciples are discouraged on an unsuccessful fishing trip. He provides them food when they need it. Jesus meets their every day needs daily. All of them do. Jesus is there always in my little moments, which frequently are the moments I need him most. He provides. He encourages. He walks with me and has breakfast and coffee! Great stuff! 5) Personal Question. My answer: Encourages me to always seek and ask him. Conclusions: I love this fish bake! Jesus is amazing, isn’t he? He cares about us in the daily struggles of life as much as he cares about our spiritual health. He encourages us when we are discouraged and seeks to fellowship with us. Jesus can have a cup of coffee with you. Make a cup and open his word and he’ll speak! This is my favorite scene in the whole book of John. You can just see the enthusiasm of Peter as he jumps in the sea to swim to his Lord. He’s gotta be on cloud 9. This is a moment of pure pleasure and relaxation for all of them as they refuel in preparation for a hard road ahead. I love how Jesus gives us these moments in our lives of pure fun to recharge before the grind of His work. All are sitting around the fire, enjoying an incredible meal in fellowship. Encouraging one another. Laughing. Having a good time. Telling stories. Great, great life stuff! End Notes: Now the disciples are back in Galilee near the Sea of Tiberias. Peter’s name is listed first again amongst the 7 disciples there. 2 were unnamed and scholars say these represent the majority of the saints whose works do go unrecognized except by Jesus. Jesus told them to return to Galilee in Matthew 28:7, 10. Previously, the disciples had their food provided for them by donors of followers of Jesus. Now, they must return to their previous occupation to earn a living. This could also show their uncertainty as to their next move so they retreated to what they knew best (fishing) while awaiting clarity from prayer. Perhaps it was hard to see Jesus on the shore so they didn’t recognize him. It could have been foggy or too far. “Friends” would better be translated “lads”. The Greek word is a common greeting. Jesus’ request was small and strange but still a test of faith in stranger’s fishing advice. He rewards workers. This story shows us the results of activity with Divine guidance and without. The word for garment is the only time it appears in the New Testament. Jews regarded a greeting as a religious act that could be done only when one was clothed. Peter was preparing himself to greet the Lord. Jesus is a servant again, having food already prepared for his disciples. Peter drags up a net probably weighing close to 300 pounds by himself, the exactitude of the numbers is eyewitness detail. Scholars have debated what the number 153 means. However, it’s just a number. Be wary of those trying to find hidden meanings in God’s word. Jesus probably appeared different since John writes how none questioned Jesus’ identity. Perhaps his scars never went away. Jesus eats with them and fellowships with them. This is the 3rd time John has recorded Jesus’ appearance after the resurrection to the group of disciples–not the 3rd time in order Jesus has appeared. And to think: Jesus chose one such as him. And he chose one such as you and I. Despite our character flaws, God has great plans for us. We merely have to believe in ourselves and in our Lord. We can’t do it on our own. Only God can. Peter recedes into the background after Jesus’ resurrection, almost unheard of until his letters from Rome. Tradition asserts that Peter went to Rome, labored there and was crucified there under the Emperor Nero.